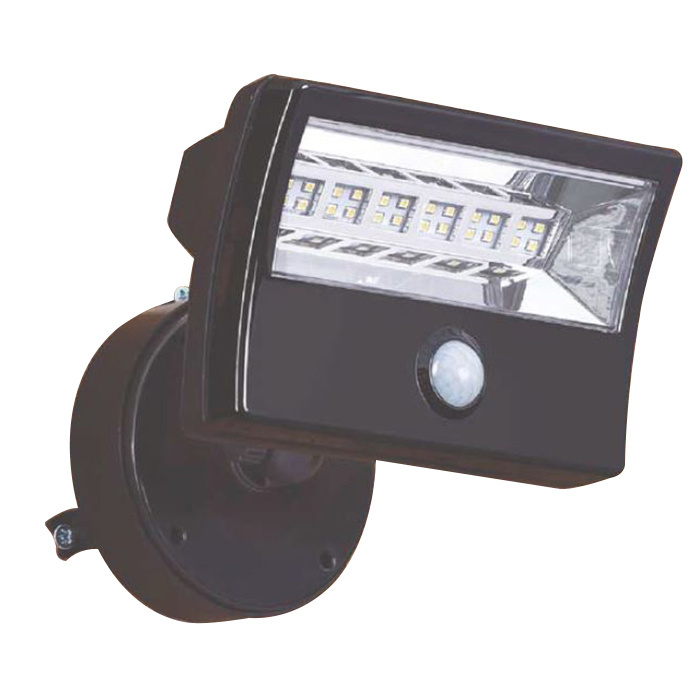 Mightylite 36-Watt LED Security flood light in black color, has aluminum body with PIR clear lens construction. This universal bracket mountable light in rectangular shape, uses 30 LED lamps that have voltage rating of 110-Volts. Lamp in the light has 5400K color temperature rating, less than 80% efficiency and offers 3000-Lumens of bright light output. It measures 4.3-Inch x 6.3-Inch x 2-Inch. The incorporated PIR sensor detects the motion up to the range of 26 - 39-ft at a detection angle of 120-degree. This IP65 rated light with photocell, withstands temperature range of -22 to 176 deg F. It is ideal for domestic and commercial applications. Flood light is ETL listed, RoHS/ERP compliant and LVD approved.